Due to contrasting body types, fitness capabilities and weight, the amount of calories burned during a 100-meter sprint will differ from each person. While Shelly-Ann Fraser-Pryce ran the 100-meter in a mere 10.75 seconds to win the gold medal in the 2012 Olympics, the average woman will take at least a few seconds longer. Time and weight are the two biggest factors in determining how many calories you will burn. Different speeds mean one person will be running longer than the other, possibly increasing the amount of calories the slower runner burns, or possibly equaling the same since the faster runner may be working harder to finish faster. Generally, the more fit a person is, the lower their resting heart rate, and the harder it is for their heart rate to raise. Therefore, a more fit person may run faster, but will probably burn fewer calories since they don't have to work as hard to complete the sprint. A heavier person running a 100-meter sprint will burn more calories than someone who is lighter, simply because their body is hauling around more pounds, which takes extra effort when sprinting. The harder your body works, the more calories you're burning. Similarly, the higher your heart rate -- which can often be related to your weight -- the more calories will be burned. According to the calorie calculator at healthdiscovery.net, a 150-lb. person running for 10 seconds at 10 mph will burn three calories. A 200-lb. person will burn four calories. While this is an estimate, it clarifies that the more you weigh, the more calories you burn. When counting calories burned during a 100-meter sprint, take into consideration the aftermath of the sprint. After exercising, your metabolism increases, causing your body to burn additional calories. While this particular exercise is short, it will still make your body work harder to recover, and you will continue to burn calories. Done repeatedly, several 100-meter sprints will make you burn more calories, and will boost your metabolism even more when you are done exercising. 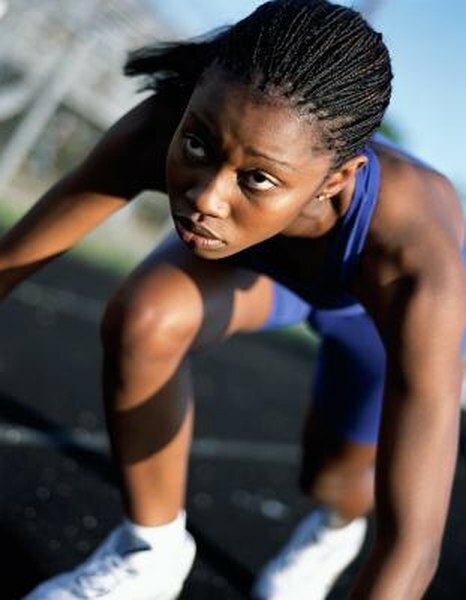 Running several sprints in intervals is your best bet to maximize calories burned.